Bangalore is among the most demanded residential areas of the country, offering a good blend of employment opportunities and quality living features. The demand for property in RMV Bangalore has risen over the years, particularly after the development of several infrastructure projects in the area. A large number of residential complexes have come up in the area in the last decade, thanks to the leading developers. Splendid architectural beauty and sophisticated interiors dominate these apartments. You will enjoy quality homes when you move to the flats in RMV. The location advantages and enriched social infrastructure in this region have led to the rise in demand for these properties. One of the key reasons behind the rise in popularity of the residential projects in RMV Bangalore is the high rates of return on sales. Investors from various locations of the country are interested in buying apartments in this area, making lucrative deals. 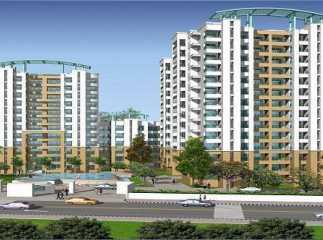 People in search for quality homes also have a good opportunity to acquire quality apartments in Bangalore. These residential spaces come with sophisticated amenities, elegant furnishings and wide balconies. Large windows ensure optimum ventilation in the apartments. Besides, the villas in RMV come with large open areas in the complex. 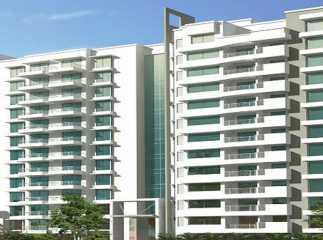 If you are inclined towards green living, you will love these apartments. The estates come with large open areas, dedicated for public use. You will enjoy the landscaped gardens in the complexes and can spend your time in the green zones, absorbing the bliss of nature. The transportation system and roadways in the area are well-developed. Seamless connectivity to any part of the city ensures fast navigation throughout the region. Besides, people can reach the commercial areas in quick time. The optimal location of the properties in RMV Bangalore is one of the key reasons behind its increasing demand. Bangalore is the IT capital of the country, with tremendous employment opportunities. Besides, the residential areas are located close to the places of entertainment. The residents in the apartments in RMV will have no dearth of entertainment facilities. You will have an easy reach to the shopping malls, multiplexes and restaurants in the area. Several schools and hospitals are also located close to the estates. The important schools in the region include Daffodils English School, Trio World School, Jain Heritage School, Cluny Convent High School, Government Kannada High School, Cambridge Public School and Bangalore International School. The plots in RMV are located in close proximity to a number of healthcare institutes, including Bangalore Hospital. The residential complexes in the region come with a large number of lifestyle and fitness amenities. You will enjoy swimming pool and gym in the ongoing project RMV Bangalore. Besides, these estates have enhanced security arrangements and residents in the apartments enjoy uninterrupted power and water supply. Children can enjoy their time in their dedicated play areas. For investors and homeowners, this is the best time to invest in the property in RMV Bangalore. The prices of properties in this area are on the rise. You will cherish your housing dreams when you move to these residential complexes.